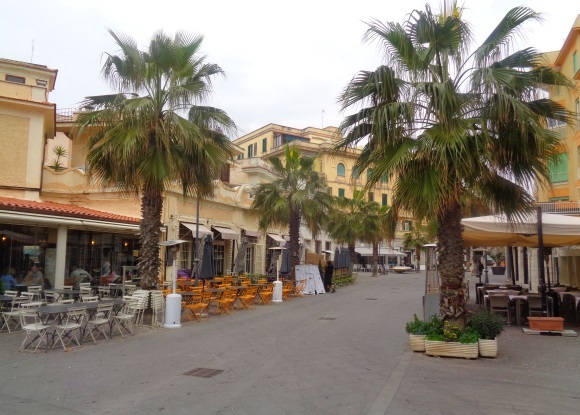 Lido di Ostia, everything about the district of Rome by the sea. Lido di Ostia (Ostia) is the part of Rome by the sea, about 25 km away from the centre of Rome. In ancient times Ostia was a large port, the sea port of Rome. The ancient city is today one of the largest excavations of Italy called Ostia Antica. About the ancient excavation Ostia we have written an extra article, which you can find on this link. 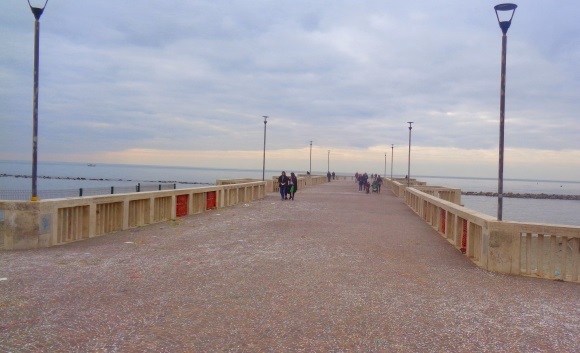 This article is about today’s Ostia by the sea. In ancient times, 2000 years ago, the mouth of the Tiber and the coast were a few kilometres away from today’s site. Therefore, the excavation is something inland. The present coast is crowded with thousands of people every day. Ostia is something like the bathtub of Rome. There is a good train connection to the city centre, you can reach the sea in half an hour. Many Romans and also other tourists come to the bathing resort Lido di Ostia. Ostia was extremely popular in the 1950s and 1960s. Then the water quality deteriorated. The great river Tiber flows into the sea here, bringing a lot of sewage and waste from Rome. Today the water is much cleaner again and you can swim in the sea in Ostia without hesitation. Today Ostia lives largely from tourism. There are long beaches with parasols and sunbeds and hundreds of restaurants. Some tourists who want to visit Rome also stay overnight in Ostia and take the train to the sights to Rome. A combination of a beach holiday and a city break. A simple ticket to Rome, with a change to the metro or bus in Rome, costs only 1.50 euros for up to 100 minutes. Ostia is part of the city of Rome, the normal fare for Roman public transport is Ostia. The Rome metro stops about 6 times in Ostia, a district with almost 200,000 inhabitants. The best stop to visit the city is Ostia Centro. From there you walk to the sea in about 20 minutes. On the way, you cross the central pedestrian zone of Lido di Ostia (see picture above). There are many beaches by the sea, usually quite crowded in summer. There is a paved path a few meters out in the sea at a place in the center. On a kind of balcony (name: Pontile di Ostia) you can see the waves and the water. If you walk along the coast, no matter in which direction, you see the typical infrastructure of a bathing resort in Italy. Beach huts for rent, sunshades, sun loungers. Behind hotels, bars, cafes, pizzarias, restaurants and fast food shops. Ostia is also a party place for the youth of Rome. In summer, the discos and clubs on the beach, especially on weekends, are noisy until the morning. There are very few sights in Lido di Ostia. Of course, apart from the mega attraction, the ancient excavation Ostia Antica. Moreover, Ostia, like almost all places in Italy, has a beautiful church. 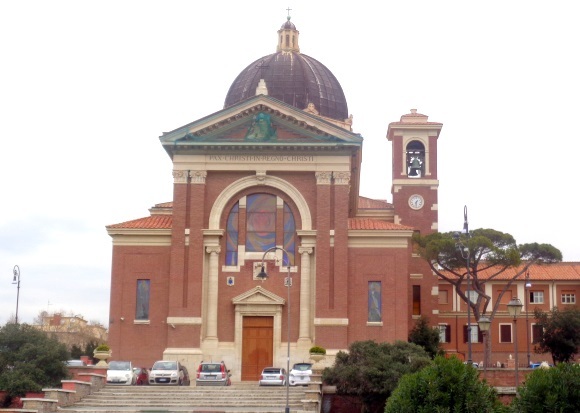 It is called Santa Maria Regina Pacis and is in the centre of the village. But the most important attractions are the excavation and the beach. As far as we know, there are no outdoor swimming pools in Rome. Anyone who wants to go into the water in the hot summer, goes to the sea. The next place from Rome at the sea is Lido di Ostia. All Roman public transport tickets are valid until Ostia, whether single tickets, day tickets, weekly tickets, etc. Trains to Ostia depart from Rome at Porta S. Paolo station, not Roma Termini central station. However, the B metro (blue line) connects Termini station with Porta S. Paolo station. There are only 4 stations with the subway. Get off the subway at Piramide station, which is next to Porta S. Paolo station. The trains to Ostia depart very often (about every 15 minutes) and take about half an hour to reach the seaside town. 2 stop before Ostia Centro is the stop Ostia Antica, the station of the ancient excavation Ostia.